Géza Röhrig stars in “Son of Saul” as a Sonderkommando at Auschwitz who tries to properly bury a dead boy in the midst of mechanized mass murder. The Claims Conference partially funded the critically acclaimed film. “Son of Saul,” the critically acclaimed film that received funding from the Claims Conference, has won the Academy Award for Best Foreign Language Film. The Claims Conference is proud to have supported this ground-breaking film that also won the Grand Prix at the Cannes Film Festival in 2015 and the Golden Globe Award for Best Motion Picture, Foreign Language. The Claims Conference was the only entity other than the Hungarian National Film Fund to contribute funding to the movie. 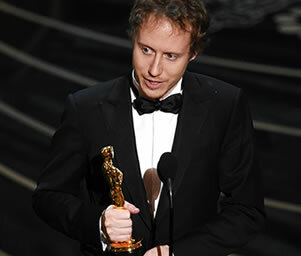 “Son of Saul” is the first movie of Hungarian director László Nemes, who also co-wrote the screenplay. It is the fictional account of a Hungarian Sonderkommando at Auschwitz in 1944 who, when he sees the dead body of a boy who reminds him of his son, embarks on a desperate quest to give the boy a ritually proper burial by a rabbi. The Claims Conference decision to support the making of this film forms part of its mission to help preserve and convey the memory of the Shoah. The film itself is an unrelentingly harrowing story of the impossible predicament of the Jewish Sonderkommandos at Auschwitz, forced, among other gruesome tasks, to work in the gas chambers and crematoria. 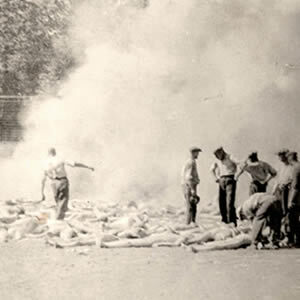 While a fictional account, the film depicts a number of actual events that occurred on October 7, 1944, at Auschwitz, namely the rebellion by the Sonderkommandos in which they blew up Crematorium IV. Both Mr. Nemes and Mr. Röhrig have indicated they became involved with the film, in large part, because of its potential to educate others about the Shoah. While only a small piece of the Claims Conference’s work, the organization’s educational projects about the Shoah represent a critical element of its mission. The Claims Conference is truly grateful to Mr. Nemes and Mr. Röhrig for helping to provide such a powerful and effective educational tool. Read about actual clandestine photos taken at Auschwitz by a Sonderkommando. The taking of these photos is re-created in the movie. Recognizing the enormous potential of movies to reach – and thereby to disseminate the lessons of and otherwise educate – large numbers of people about the Shoah, the Claims Conference began, in 2010, to provide partial funding for films as part of its Holocaust education, documentation and research allocations. 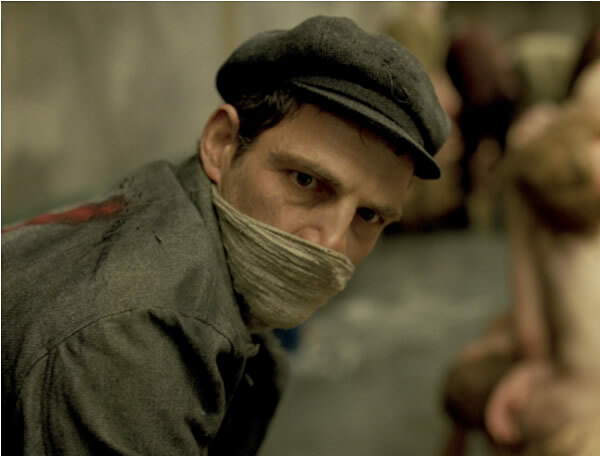 In light of its accolades and awards, the Claims Conference believes that “Son of Saul” will expose new audiences to a particularly horrifying aspect of the Holocaust that has heretofore not been widely explored, as well as serve as important educational tool about darkest chapter of human history. See the movie’s opening dates and cities in the U.S. The movie will open over the next few months in Germany and Israel as well as dozens of other countries.